It started a few years back when some evaluators jokingly suggested there should be a national holiday to honor evaluation. Well, that sounded like a pretty good idea to me, so last year I invented a holiday—EVALentine’s Day—that is celebrated throughout the month of February. A day (February 15) celebrated for an entire month? Think of it like a jubilee year for the Queen. EVALentine’s Day is an excuse to share your love of evaluation with colleagues, introduce evaluation to those who are unfamiliar with it, and connect with evaluators in your area. That’s exactly what the members and friends of San Francisco Bay Area Evaluators (SFBAE) did at their recent EVALentine’s Day meet up in Berkeley, California. 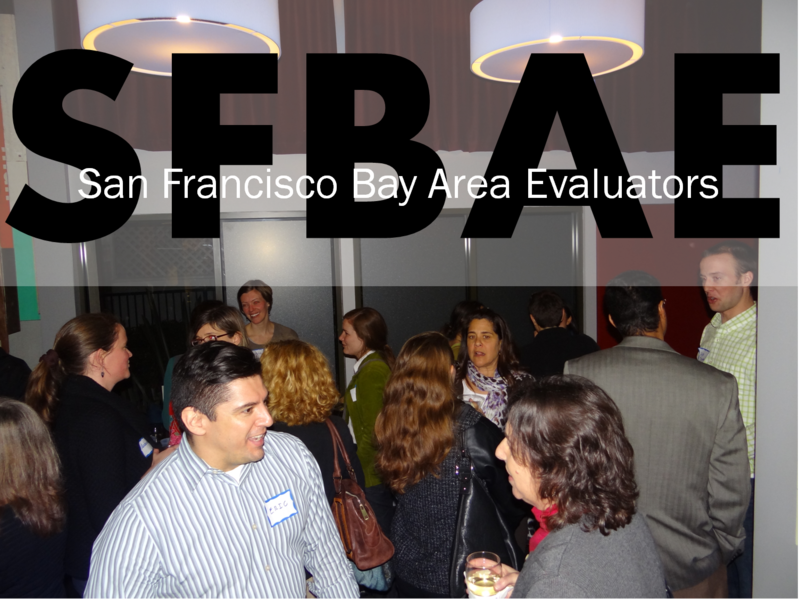 SFBAE is a local affiliate of the American Evaluation Association. Why not find a local affiliate near you and share the love? 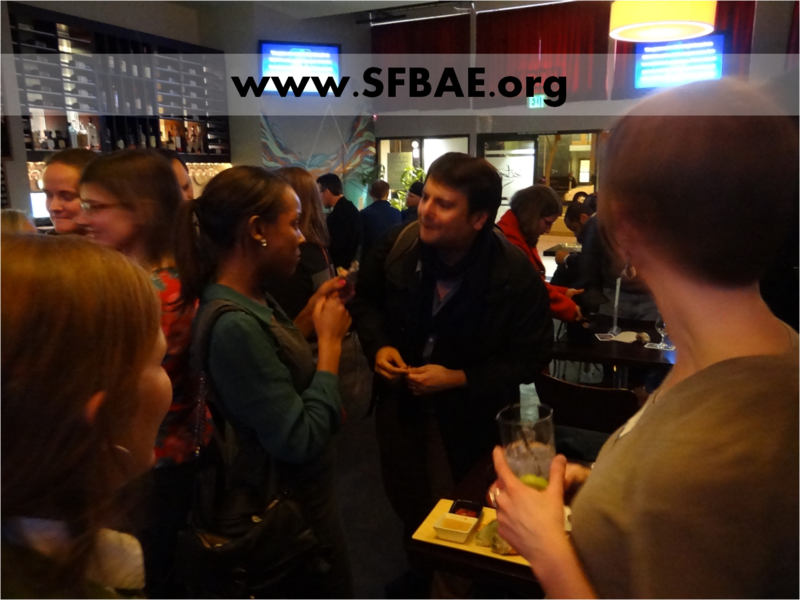 If you live in San Francisco, the East Bay, the South Bay, Marin, Sacramento, or neighboring areas, visit www.sfbae.org or our new LinkedIn group page to learn about upcoming events. Earlier this year, I traveled to Helsinki to participate in the European Evaluation Society (EES) conference. It was fantastic…but more on that in future posts. While in Finland, I traveled above the Arctic Circle to Rovaniemi, the capital of Lapland. This is the region where many Sami people live, reindeer are herded, and—so they claim—Santa Clause lives. I thought…How could I pass up the chance to visit Santa Clause? More importantly, how could I pass up the opportunity to interview Santa about evaluation? Second, you might not believe in Santa. While there is more documentary evidence for Santa than there is for Bigfoot, the evidence has something of a credibility problem. But again, in the extreme cold, I was all too ready to believe, if only to gain access to the heated halls of Santa’s castle. ME: Santa, how do you know if you and your elves are making the world a better place? SANTA: It is my opinion that this is something in which we all invest our little part. When we realize we can do this together, we realize we can do anything. SANTA: Every year, we have millions and millions of children waiting for presents. Sometimes my young elves wonder—How is this possible? How can we accomplish this huge work? When they realize they are not alone, that we are all working together, they understand the important role they play and that we can be successful. ME: I would assume that you have sophisticated methods to evaluate your success. SANTA: We do…but we have had hundreds of years of experience. Santa is a proponent of contribution analysis—understanding how one effort among many helps to advance social change. He holds a social mechanisms perspective—that there is an explainable process through which “micro-level” individual change (the self-efficacy of elves; children receiving presents) can be transformed into “macro-level” social change (an effective workforce; a better world). He has successfully used evaluation to foster continuous improvement over centuries. I was impressed. And a little confused. Why was Santa so thoughtful about evaluation? An evaluation survey! Then it hit me. Santa was the product of a larger evaluation culture. An evaluation society. So, like the train station café, he gathered data and used it to improve his work. So I leave you with this new year wish—that in this respect we can all be a bit more Santa Clause. Stop me if you’ve heard this one before. An evaluator uses data to assess the effectiveness of a program, arrives at a well-reasoned but disappointing conclusion, and finds that the conclusion is not embraced—perhaps ignored or even rejected—by those with a stake in the program. People—even evaluators—have difficulty accepting new information if it contradicts their beliefs, desires, or interests. It’s unavoidable. When faced with empirical evidence, however, most people will open their minds. At least that has been my experience. During the presidential election, reluctance to embrace empirical evidence was virtually universal. I began to wonder—had we entered the post-data age? The human race creates an astonishing amount of data—2.5 quintillion bytes of data per day. In the last two years, we created 90% of all data created throughout human history. In that time, I suspect that we also engaged in more denial and distortion of data than in all human history. The election was a particularly bad time for data and the people who love them—but there was a bright spot. On election day I boarded a plane for London (after voting, of course). Although I had no access to news reports during the flight, I already knew the result—President Obama had about an 84% chance of winning reelection. When I stepped off the plane, I learned he had indeed won. No surprise. How could I be so certain of the result when the election was hailed as too close to call? I read the FiveThiryEight blog, that’s how. By using data—every available, well-implemented poll—and a strong statistical model, Nate Silver was able to produce a highly credible estimate of the likelihood that one or the other candidate would win. Most importantly, the estimate did not depend on the analysts’—or anyone’s—desires regarding the outcome of the election. Although this first-rate work was available to all, television and print news was dominated by unsophisticated analysis of poll data. How often were the results of an individual poll—one data point—presented in a provocative way and its implications debated for as long as breath and column inches could sustain? Isn’t this the way that we interpret evaluations? News agencies were looking for the story. The advocates for each candidate were telling their stories. Nothing wrong with that. But when stories shape the particular bits of data that are presented to the public, rather than all of the data being used to shape the story, I fear that the post-data age is already upon us. Are evaluators expected to do the same when they are asked to tell a program’s story? 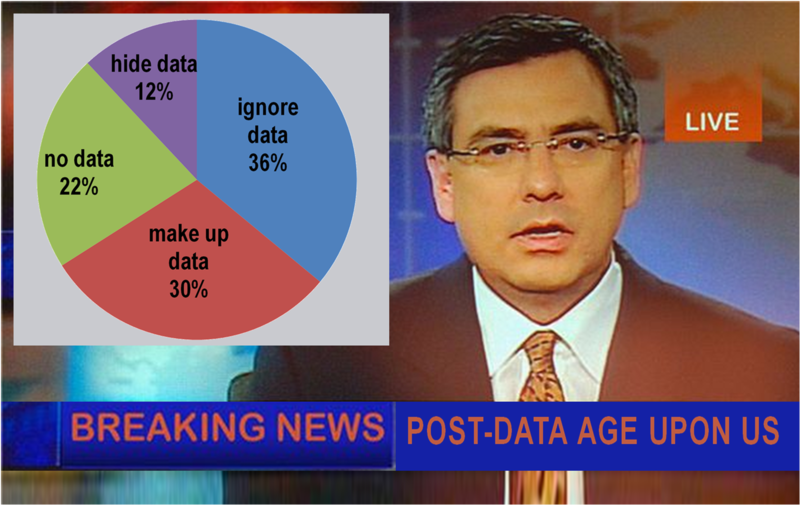 It has become acceptable to use data poorly or opportunistically while asserting that our conclusions are data driven. All the while, much stronger conclusions based on better data and data analysis are all around us. Do evaluators promote similar behavior when we insist that all forms of evaluation can improve data-driven decision making? The New York Times reported that on election night one commentator, with a sizable stake in the outcome, was unable to accept that actual voting data were valid because they contradicted the story he wanted to tell. He was already living in the post-data age. Are we? I have a great fondness for the American Evaluation Association and its Annual Conference. At this year’s conference—Evaluation 2012—roughly 3,000 evaluators from around the world came together to share their work, rekindle old friendships, and establish new ones. I was pleased and honored to be a part of it. As I moved from session to session, I would ask those I met my favorite question—What have you learned that you will use in your practice? Their answers—lists, connections, reflections—were filled with insights and surprises. They helped me understand the wide range of ideas being discussed at the conference and how those ideas are likely to emerge in practice. In the spirit of that question, I would like to share some thoughts about a few ideas that were thick in the air, starting with this post on complexity. 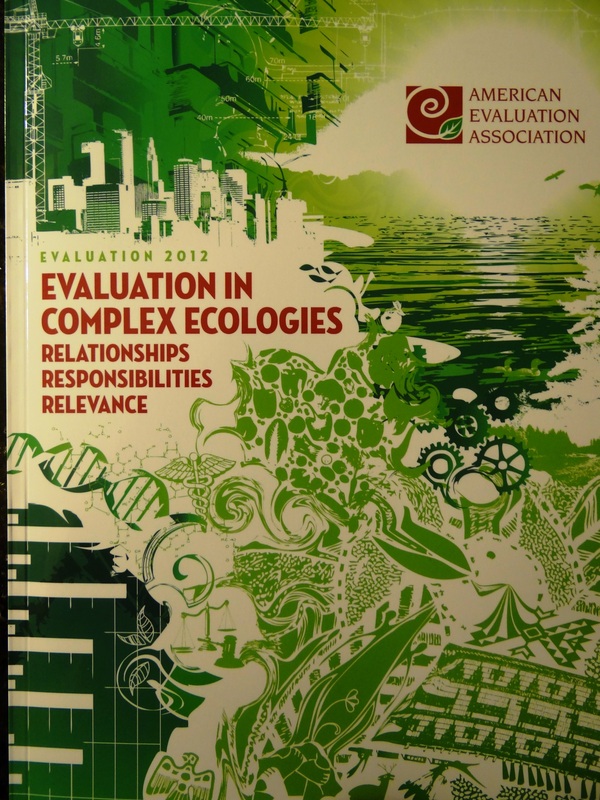 The theme of the conference was Evaluation in Complex Ecologies: Relationships, Responsibilities, Relevance. Not surprisingly, the concept of complexity received a great deal of attention. Like many bits of evaluation jargon, it has a variety of legitimate formal and informal definitions. Consequently, evaluators use the term in different ways at different times, which led a number of presenters to make statements that I found difficult to parse. We are, indeed, a profession divided by a common language. Why can’t we agree on a definition for complexity? First, no other discipline has. Perhaps that is too strong a statement—small sub-disciplines have developed common understandings of the term, but across those small groups there is little agreement. From what I can tell, the answer is (D). That doesn’t help much, does it? evaluations of our actions and strategies. When we neglect to specify which entities we are discussing, or treat these entities as interchangeable, clarity is lost. I hope it encourages us to do the following when we invoke the concept of complexity: define what we mean and identify what we are describing. If we do that, we don’t need to agree—and we will be better understood. It’s been a busy few months for me. I have been leading workshops, making presentations, attending conferences, and working in Honolulu, Helsinki, London, Tallinn (Estonia), and Claremont. I met some amazing people and learned a great deal about how evaluation is being practiced around the world. More about this in later posts. This morning, I am in Minneapolis for the Annual Conference of the American Evaluation Association, which begins today. While I am here, I will be reporting on the latest trends, techniques, and opportunities in evaluation. Today will be interesting. 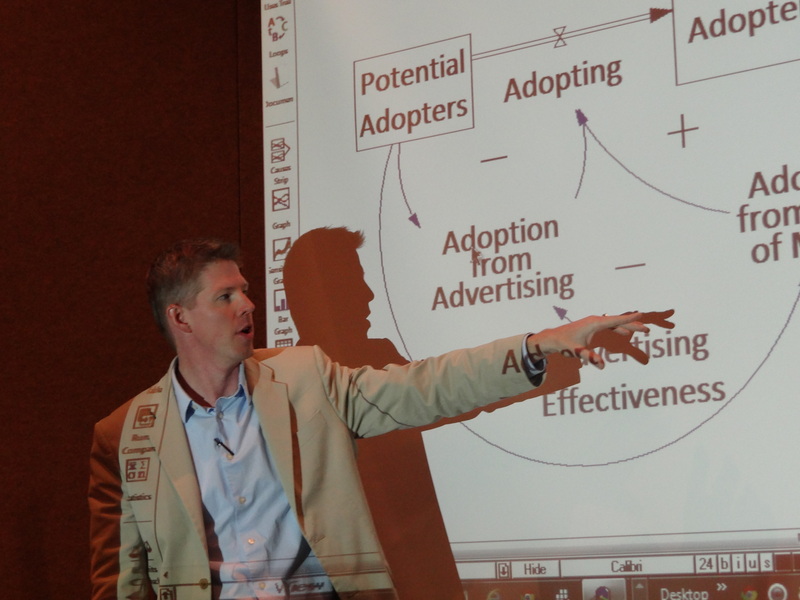 I lead a half-day workshop on program design with Stewart Donaldson. Then I chair a panel discussion on the future of evaluation (a topic that, to my surprise, has mushroomed from a previous EvalBlog post into a number of conference presentations and a website). Off to the conference–more later. 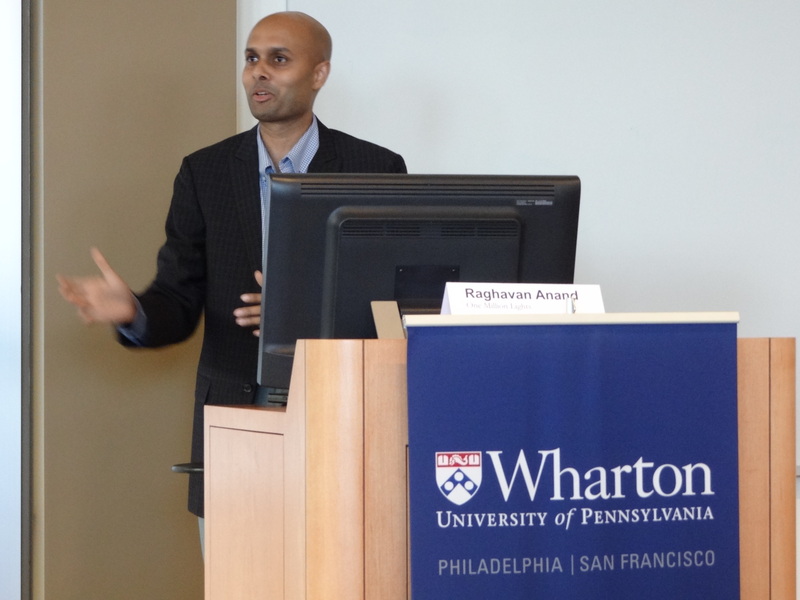 Did you miss the Catapult Labs conference on May 19? Then you missed something extraordinary. But don’t worry, you can get the recap here. The event was sponsored by Catapult Design, a nonprofit firm in San Francisco that uses the process and products of design to alleviate poverty in marginalized communities. Their work spans the worlds of development, mechanical engineering, ethnography, product design, and evaluation. I find them remarkable and their approach refreshing. Even more so because they are not alone. The conference was very well attended by diverse professionals—from government, the nonprofit sector, the for-profit sector, and design—all doing similar work. The day was divided into three sets of three concurrent sessions, each presented as hands-on labs. So, sadly, I could attend only one third of what was on offer. My apologies to those who presented and are not included here. I started the day by attending Democratizing Design: Co-creating With Your Users presented by Catapult’s Heather Fleming. 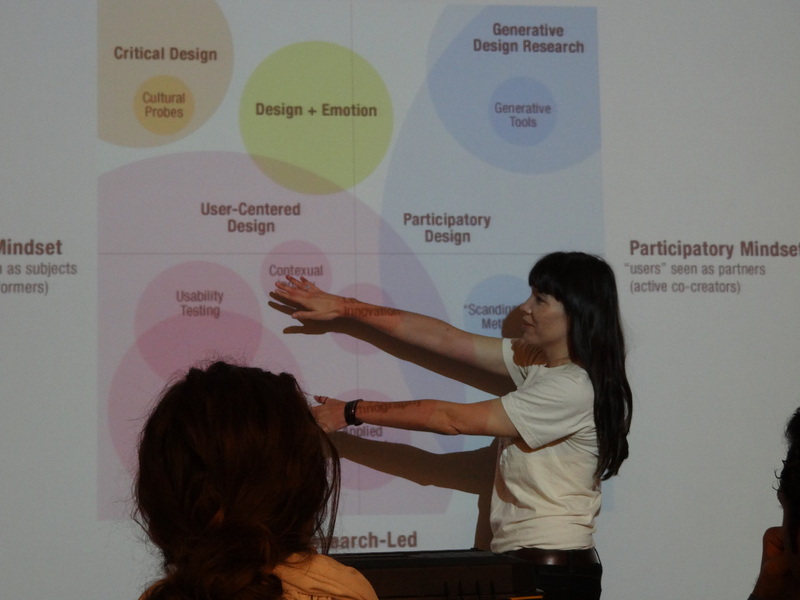 It provided an overview of techniques designers use to include stakeholders in the design process. Evaluators go to great lengths to include stakeholders. We have broad, well-established approaches such as empowerment evaluation and participatory evaluation. But the techniques designers use are largely unknown to evaluators. I believe there is a great deal we can learn from designers in this area. An example is games. Heather organized a game in which we used beans as money. 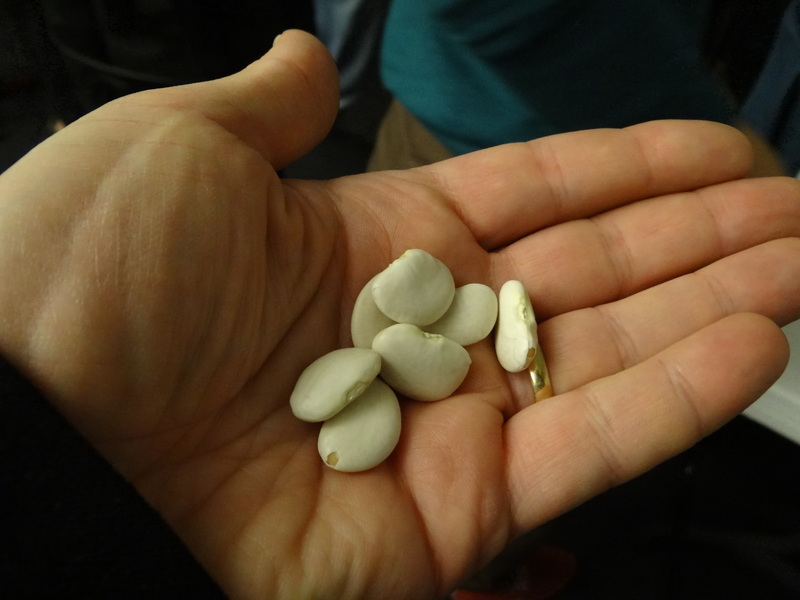 Players chose which crops to plant, each with its own associated cost, risk profile, and potential return. The expected payoff varied by gender, which was arbitrarily assigned to players. After a few rounds the problem was clear—higher costs, lower returns, and greater risks for women increased their chances of financial ruin, and this had negative consequences for communities. I believe that evaluators could put games to good use. Describing a social problem as a game requires stakeholders to express their cause-and-effect assumptions about the problem. Playing with a group allows others to understand those assumptions intimately, comment upon them, and offer suggestions about how to solve the problem within the rules of the game (or perhaps change the rules to make the problem solvable). I have never met a group of people who were more sincere in their pursuit of positive change. And honest in their struggle to evaluate their impact. I believe that impact evaluation is an area where evaluators have something valuable to share with designers. 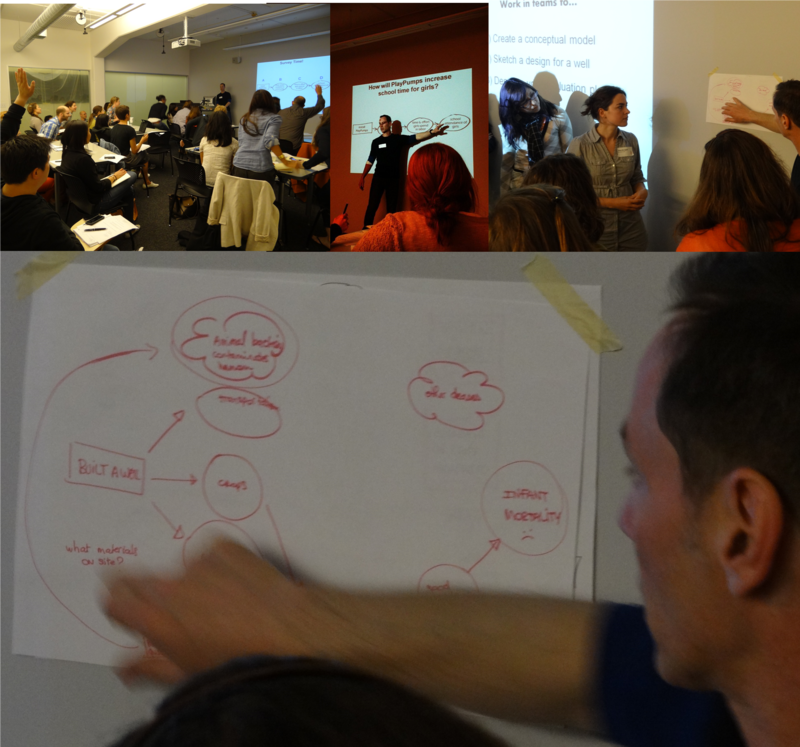 That was the purpose of my workshop Measuring Social Impact: How to Integrate Evaluation & Design. 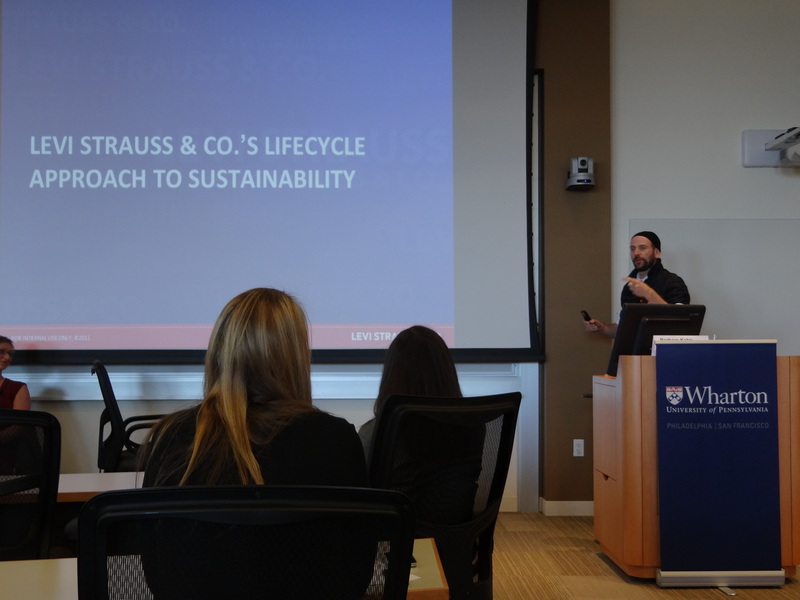 I presented a number of techniques and tools we use at Gargani + Company to design and evaluate programs. They are part of a more comprehensive program design approach that Stewart Donaldson and I will be sharing this summer and fall in workshops and publications (details to follow). The hands-on format of the lab made for a great experience. 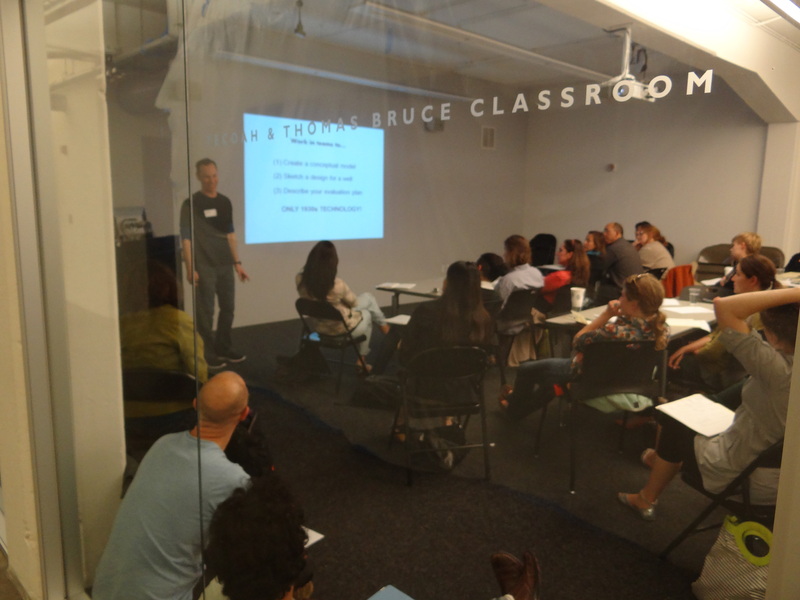 I was able to watch participants work through the real-world design problems that I posed. And I was encouraged by how quickly they were able to use the tools and techniques I presented to find creative solutions. That made my task of providing feedback on their designs a joy. We shared a common conceptual framework and were able to speak a common language. Given the abstract nature of social impact, I was very impressed with that—and their designs—after less than 90 minutes of interaction. I wrapped up the conference by attending Three Cups, Rosa Parks, and the Polar Bear: Telling Stories that Work presented by Melanie Moore Kubo and Michaela Leslie-Rule from See Change. They use stories as a vehicle for conducting (primarily) qualitative evaluations. They call it story science. A nifty idea. I liked this session for two reasons. First, Melanie and Michaela are expressive storytellers, so it was great fun listening to them speak. Second, they posed a simple question—Is this story true?—that turns out to be amazingly complex. We summarize, simplify, and translate meaning all the time. Those of us who undertake (primarily) quantitative evaluations agonize over this because our standards for interpreting evidence are relatively clear but our standards for judging the quality of evidence are not. 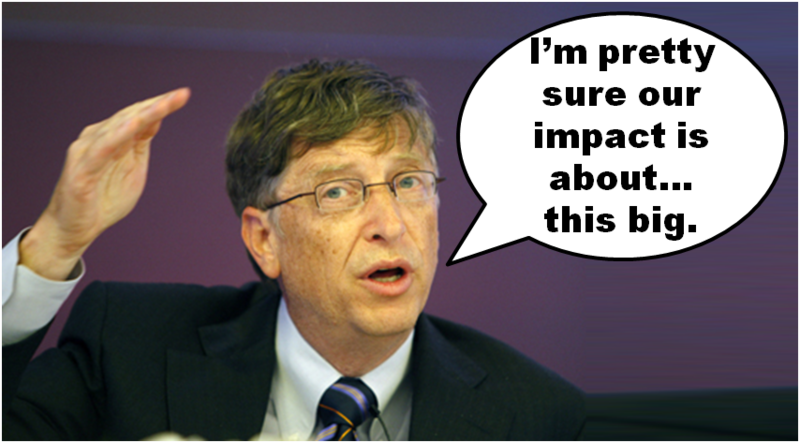 For example, imagine that we perform a t-test to estimate a program’s impact. The t-test indicates that the impact is positive, meaningfully large, and statistically significant. We know how to interpret this result and what story we should tell—there is strong evidence that the program is effective. But what if the outcome measure was not well aligned with the program’s activities? Or there were many cases with missing data? Would our story still be true? There is little consensus on where to draw the line between truth and fiction when quantitative evidence is flawed. As Melanie and Michaela pointed out, it is critical that we strive to tell stories that are true, but equally important to understand and communicate our standards for truth. Amen to that. The icing on the cake was the conference evaluation. Perhaps the best conference evaluation I have come across. Everyone received four post-it notes, each a different color. As a group, we were given a question to answer on a post-it of a particular color, and only a minute to answer the question. 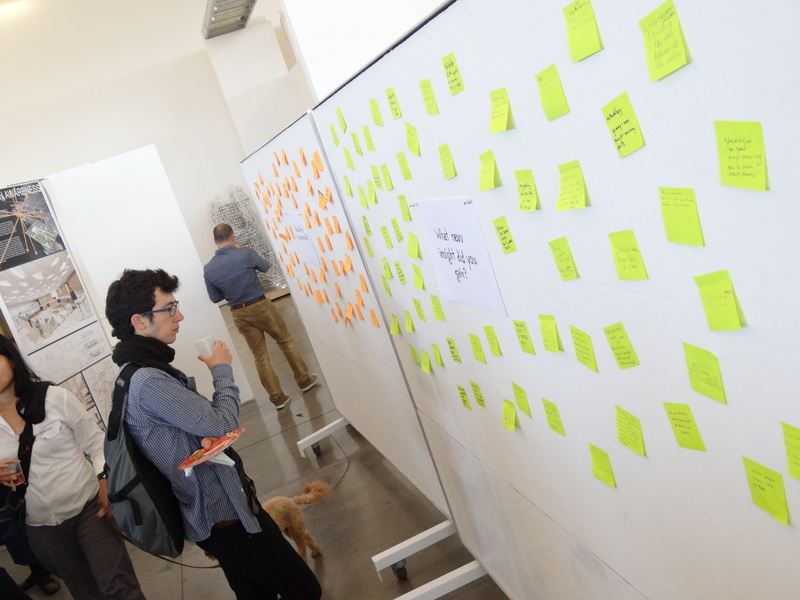 Immediately afterward, the post-its were collected and displayed for all to view, as one would view art in a gallery. Evaluation as art—I like that. Immediate. Intimate. Transparent. Interested in design for social change? Curious about how to measure the social impact of your designs? 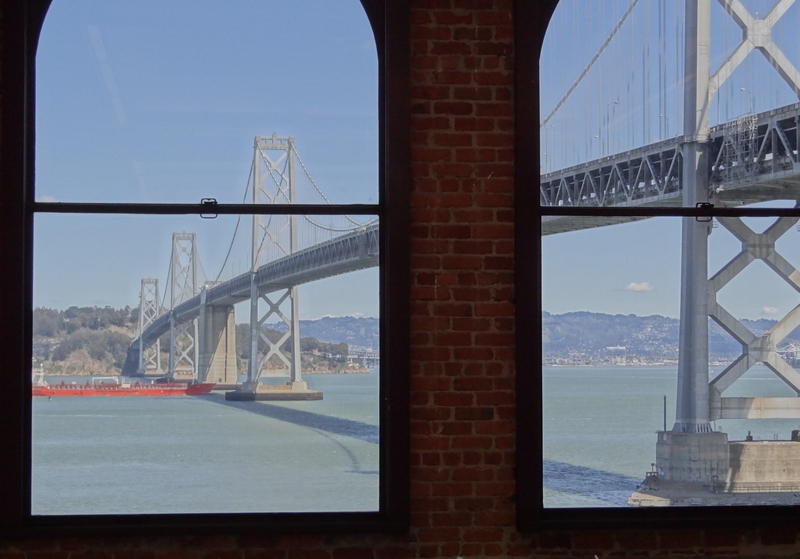 Check out my upcoming San Francisco workshop—Measuring Impact: Integrating Evaluation & Design–taking place on May 19 as part of CatapultLabs: Design Tools to Spark Social Change. 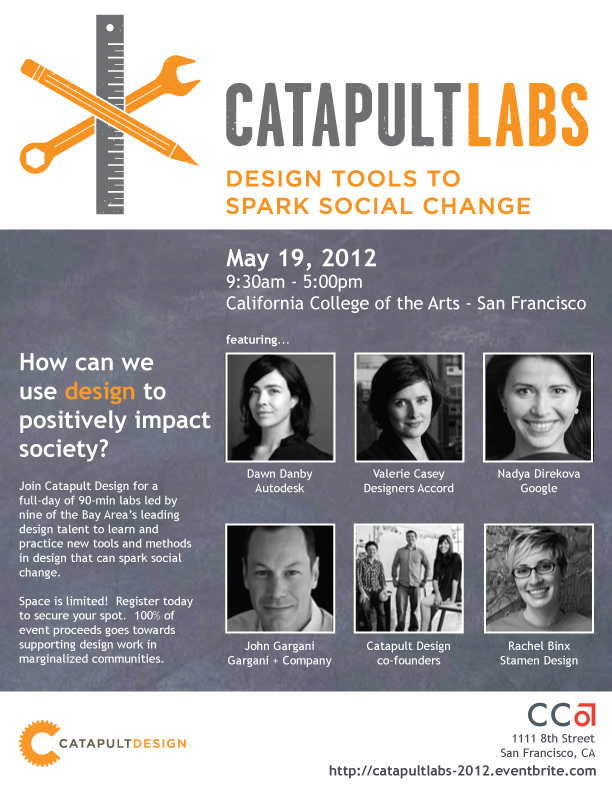 Come join in a day of hands-on labs with leading designers and organizations promoting social change. Learn more about it at http://catapultlabs-2012.eventbrite.com/–space is limited. Jargon is the name we give to big labels placed on little ideas. What should we call little labels placed on big ideas? Jongar, of course. A good example of jongar in evaluation is the term mixed methods. I run hot and cold for mixed methods. I praise them in one breath and question them in the next, confusing those around me. Why? Because mixed methods is jongar. Recently, I received a number of comments through LinkedIn about my last post. A bewildered reader asked how I could write that almost every evaluation can claim to use a mixed-methods approach. It’s true, I believe that almost every evaluation can claim to be a mixed-methods evaluation, but I don’t believe that many—perhaps most—should. Why? Because mixed methods is also jargon. 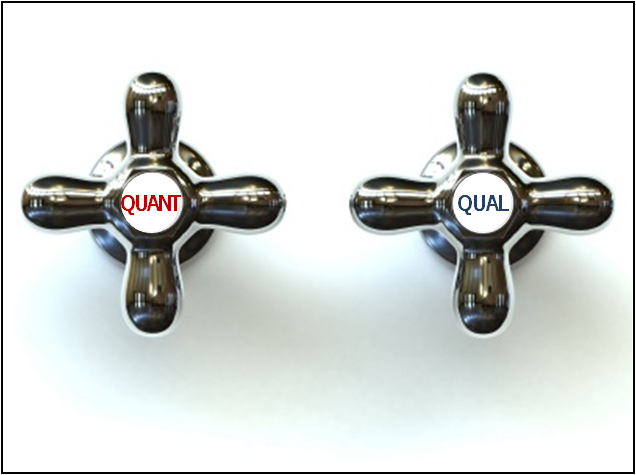 …we found it necessary to distinguish between mixed methods as a collection and analysis of two types of data (qualitative and quantitative) and mixed methods as the integration of two approaches to research (quantitative and qualitative). By the first definition, mixed methods is jargon—almost every evaluation uses more than one type of data, so the definition attaches a special label to a trivial idea. This is the view that I expressed in my previous post. By the second definition, which is closer to my own perspective, mixed methods is jongar—two simple words struggling to convey a complex concept. A mixed-methods evaluation is one that establishes in advance a design that explicitly lays out a thoughtful, strategic integration of qualitative and quantitative methods to accomplish a critical purpose that either qualitative or quantitative methods alone could not. Evaluators often amend their evaluation designs in response to unanticipated or dynamic circumstances—so what does it mean to establish a design in advance? Integration is more than having quantitative and qualitative components in a study design—how much more and in what ways? A mixed-methods design should be introduced when it provides a benefit that would not be realized otherwise—how do we establish the counterfactual? These complex ideas are lurking behind simple words. That’s why the words are jongar and why the ideas they represent may be ignored. Technical terms—especially jargon and jongar—can also be code. Code is the use of technical terms in real-world settings to convey a subtle, non-technical message, especially a controversial message. For example, I have found that in practice funders and clients often propose mixed methods evaluations to signal—in code—that they seek an ideological compromise between qualitative and quantitative perspectives. This is common when program insiders put greater faith in qualitative methods and outsiders put greater faith in quantitative methods. When this is the case, I believe that mixed methods provide an illusory compromise between imagined perspectives. The compromise is illusory because mixed methods are not a middle ground between qualitative and quantitative methods, but a new method that emerges from the integration of the two. At least by the second definition of mixed methods that I prefer. The perspectives are imagined because they concern how results based on particular methods may be incorrectly perceived or improperly used by others in the future. Rather than leap to a mixed-methods design, evaluators should discuss these imagined concerns with stakeholders in advance to determine how to best accommodate them—with or without mixed methods. In many funder-grantee-evaluator relationships, however, this sort of open dialogue may not be possible. code, in which case it attempts to communicate through subtlety what should be communicated through open dialogue. Too bad—the ideas underlying mixed methods are incredibly useful.